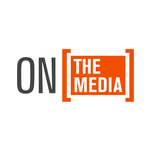 On the Media: Summer Listens #9: Pledge This! this episode was so reminiscent of Night Vale to me, and I can't really tell why. Perhaps I need more radio plays in my podcast feed.